This experience learn me alot about raw materials, the techniques of making incenses and fragrant compounds. While making it, a sort of time voyage happens: shaping the mass, the compound in the mortar, on the heat, in my hands, on my fingers.. really another way to undestand from the inside the scented matter. many asked how the scent is: so while myrrh is always in the backround, the scent is balsamic, sweet, caramel hints that at the end change in gently earthy notes. 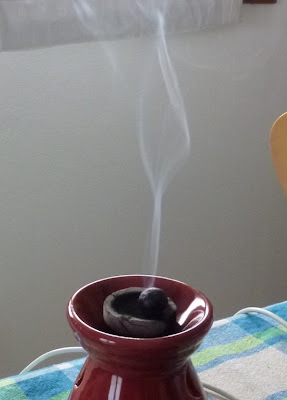 It is very diffusive and soon the room where it is burned is filled with the scent. 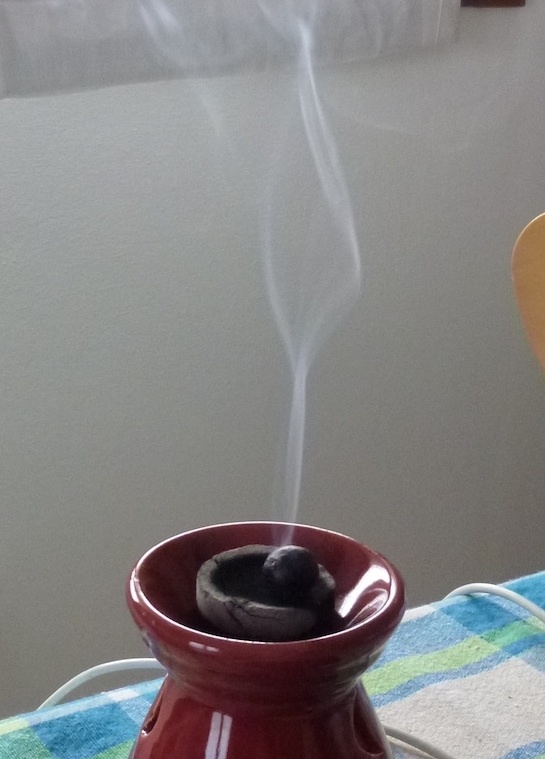 it is a very interesting scent experience, really different from the usual incense burning. This is not the end, more has to come, revisiting other antique scented material. But now time has come to go back and work on the building of my artisanal perfumery brand that little by little is shaping into reality. 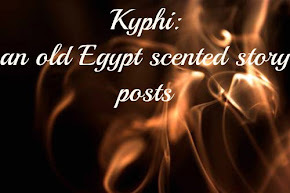 I leave you with a gift: to the first 20 comments on kyphi I will send a sample of the sacred incense to spread again the powerful scent of Horus. After the comment write me a mail to esperienzeolfattive@gmail.com with your adress.